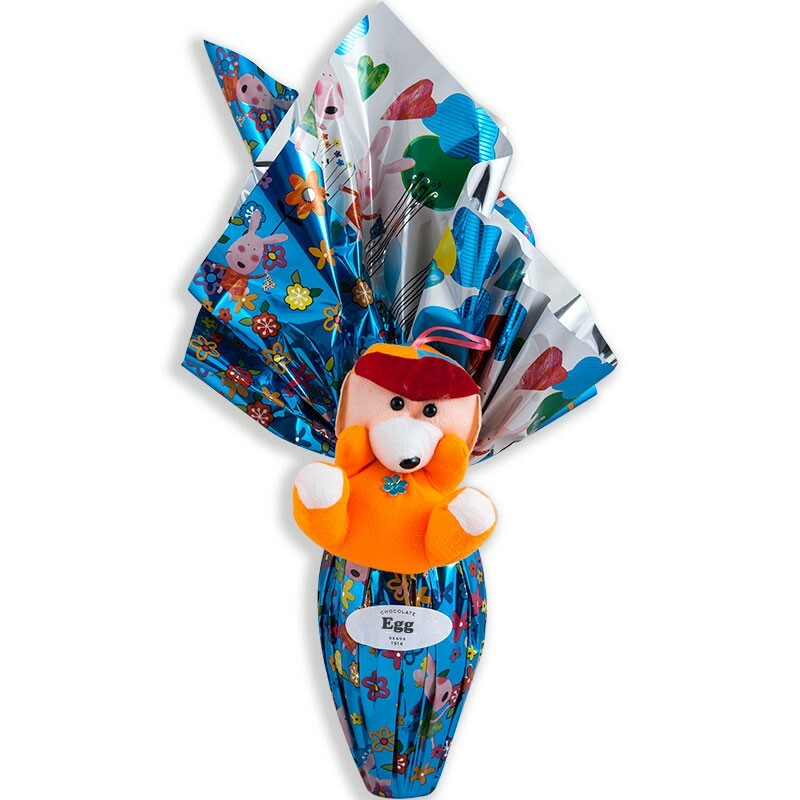 The all times favorite chocolate egg wrapped like a bouquet. This chocolate egg is a traditional offer in Portugal at the time of Easter. It is expected for the godparents to offer an egg like this to their godchildren to celebrate Easter. Produced with delicious chocolate for children and adults.